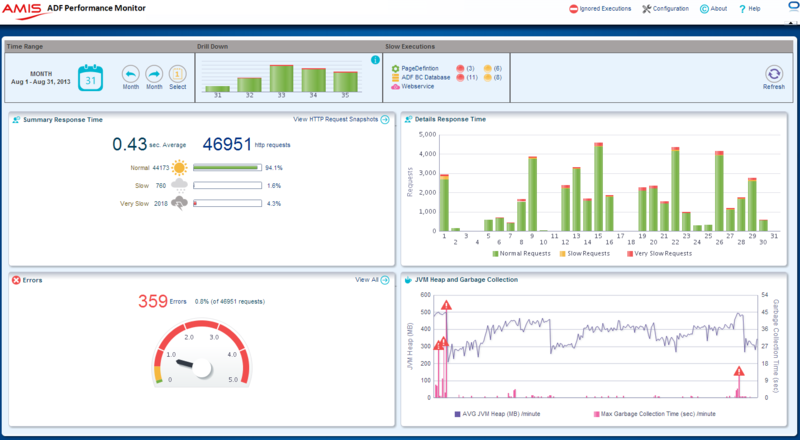 The AMIS ADF Performance Monitor is an advanced tool designed for measuring, analyzing, improving, and checking the performance of Oracle ADF applications. The monitor can track and collect crucial (production) performance information of the application’s runtime ADF components that are not standard provided by Oracle. It helps development, QA, and operation teams to detect, analyze and resolve common and less common issues in response times and resource usage of ADF applications. Recently an overview video was published. 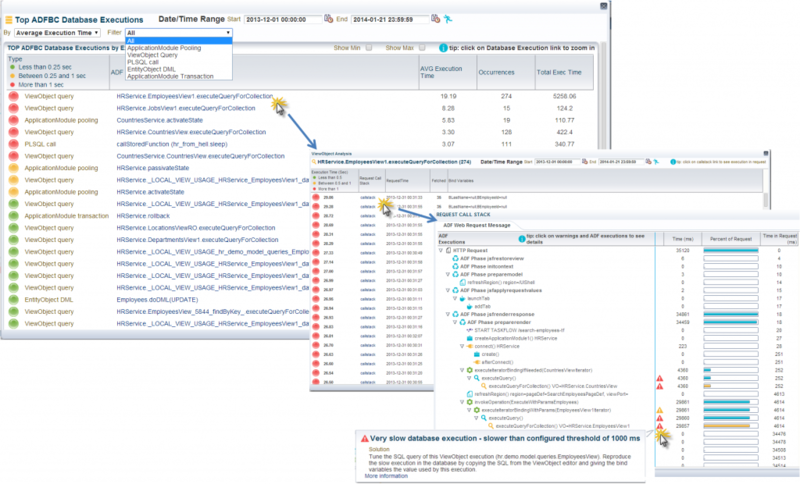 This blog publishes a new whitepaper that gives detailed information about the architecture and implementation of the ADF Performance Monitor. 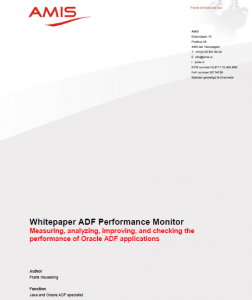 Currently the ADF Performance Monitor has been implemented in more than 15 Oracle ADF applications over the world. 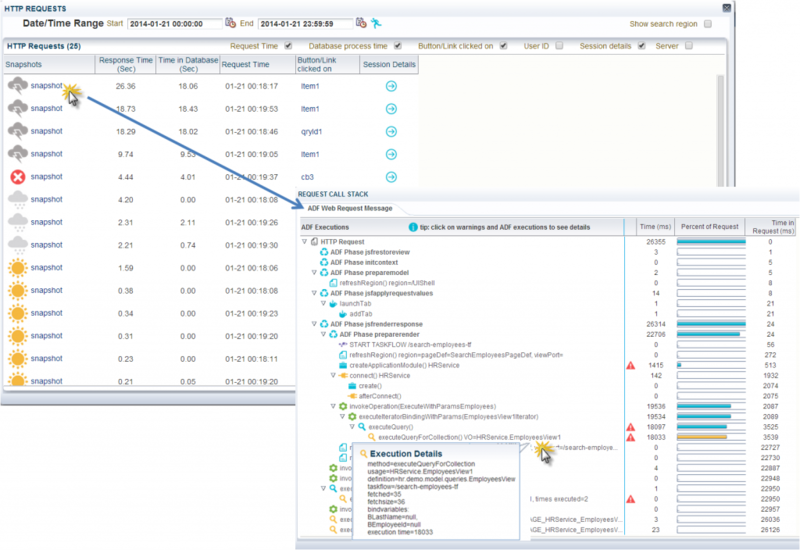 The monitor has proven to be very useful in many ADF projects. Read the quotes of ADF experts and managers.